Air contamination or odor issues? 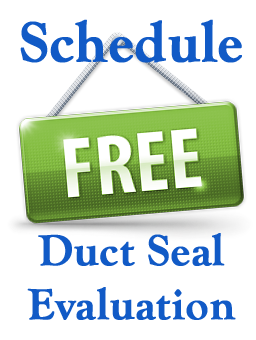 Duct leakage may be causing your indoor air quality problems. A good transmission gets power to all the wheels of a car. Just like a good air duct system gets air to all the rooms of your home or building. In Residential buildings, the problem with leaky ductwork is that air can not only leak out of you HVAC system and air ducts — untreated and unclean air and contaminants from the crawlspaces, attic and other place can actually be pulled in to the air you and your family breath. Since so many air duct systems leak and pull bad air in (we find 20 to 40% leakage in 3 out of 4 homes we visit), poor air quality is a problem that many homes have. In commercial buildings, the problem with leaky ducts in return ducts and ventilation shafts creates air contamination and results in odor issues and unhealthy indoor environment. Click here for Articles on Aeroseal and see what people are talking about.